I pulled this design from the Japanese gallery on the Tama Software page. 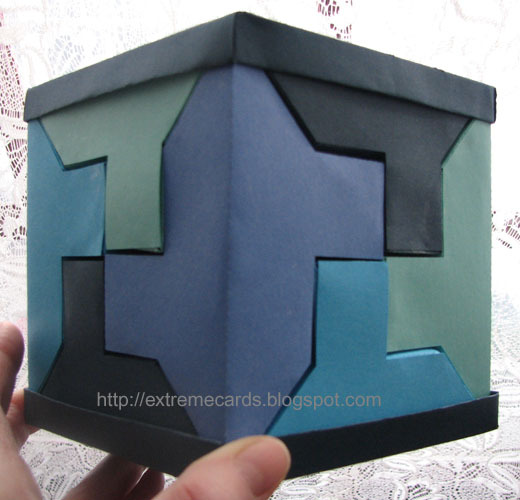 If you want to hand cut it, download and print the file from that site. I traced it out for machine cutting. 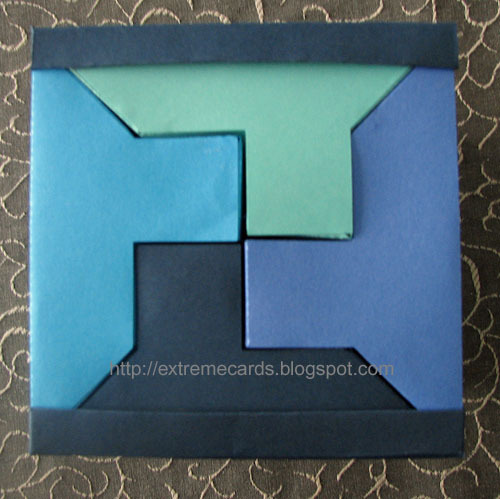 Cut out 12 sets of pieces: 3 each of four different colors. 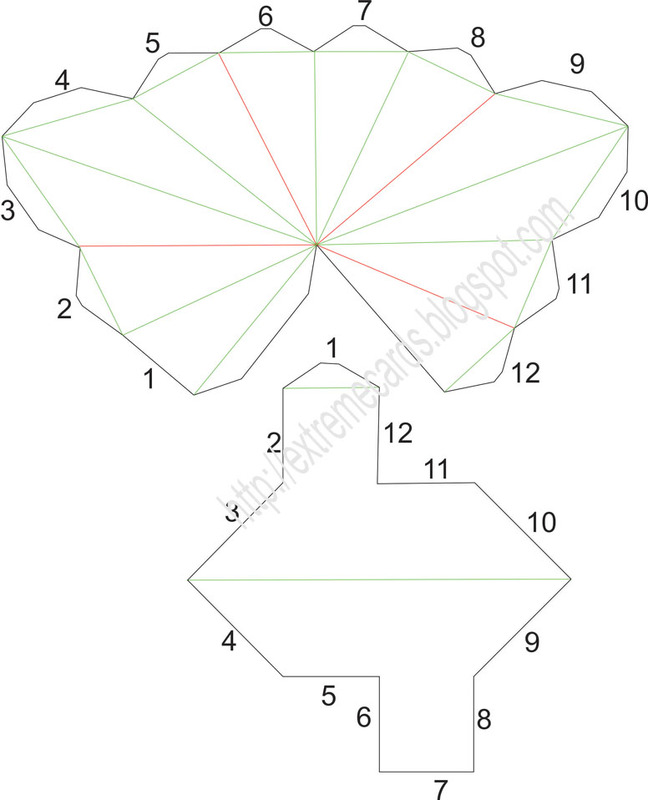 If you are using the SVG, refer to the assembly diagram for score line placement. I put a tiny notch between sides 1 and 2 where the score line terminates. Every other score ends at a V between two tabs. Valley fold on red lines, mountain fold on green lines. Glue the two pieces together, matching numbered edges. 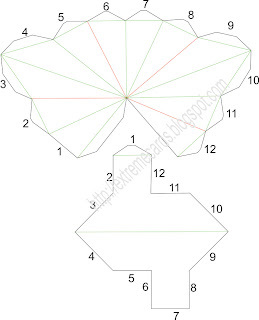 You will want to be most precise in your gluing where the cubes form at edges 1-2-12, and at edges 6-7-8. These glue joins show the most if you're off a little. Work slowly. I glued a couple edges at a time, holding them in place until the glue started to set up. Then I did a couple more edges. It took me most of an evening to glue up the twelve pieces. I decided to make a top and bottom tray to help hold the puzzle together as I was putting the pieces in place. Each tray is made like the boxes from my Advent calendar. 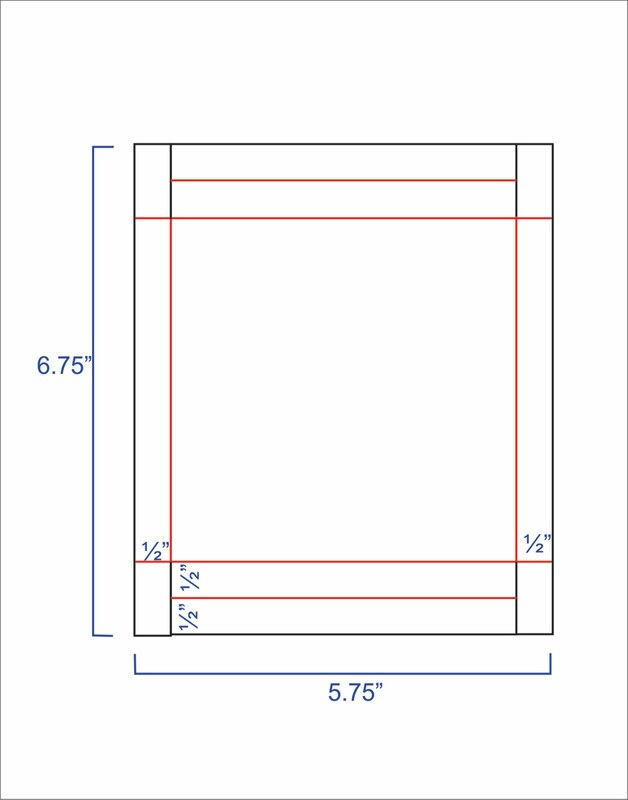 Cut the cardstock 5.75" wide and 6.75" long. 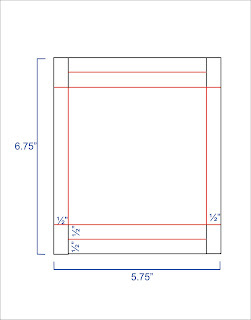 The finished measurement is 4.75" long and wide, and 1/2" deep.